Lil Black Jess - Late scratching at 2.34pm due to the greyhound being on season (GAR 24). A 28 day stand down period was imposed. Rocket Riley - Late scratching at 10:48am due to transport difficulties. A 10 day standdown period was imposed. Trainer W. Gent was advised the standdown period would be lifted upon receipt of a mechanical certificate. A pre race sample was taken from Young Rachel. Please Stand Up was quick to begin. Angel Of Glory and Maximum Bliss collided on the first turn. Blitzen Bell and Angel Of Glory collided approaching the home turn checking both greyhounds. Please Stand Up, Young Rachel, Maximum Bliss and Blitzen Bell raced wide in the home straight. 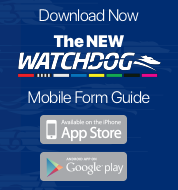 Road To Nhill – Performed a Stewards Satisfactory trial as the greyhound has not competed in an event for in excess of six months due to a right elbow injury. Weighing 33.6kgs and beginning from box 1, Road To Nhill completed the 400m trial distance in a time of 24.27. Road To Nhill placed 5th in a field of 5 beaten by 18.5L. Road To Nhill underwent a post-trial veterinary examination and was found to have sustained a right carpal sprain. A 21 day standdown period was imposed. Road To Nhill has not been cleared to race. 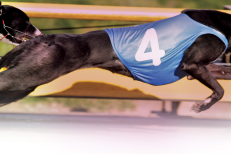 Janali – Performed a Stewards Satisfactory trial as the greyhound has not competed in an event for in excess of six months due to a shoulder injury and seasonal. Weighing 28.4kgs and beginning from box 4, Janali completed the 400m trial distance in a time of 22.98. Janali placed 1st in a field of 5 winning by 4.25L. Janali has been cleared to race.